Activation code is not suitable for the Polish version (in Polish). ATTENTION !!! To apply the code in YOUR REGION (activate the license) you need to register a proxy server. You receive the registration code and activation instructions immediately after the payment in the window after making the payment. You will also receive a link to your personal account, where all your keys acquired at the site are displayed. * Suitable for versions 2016 - 2017 - 2018 - 2019. * This key only activates the Windows version. 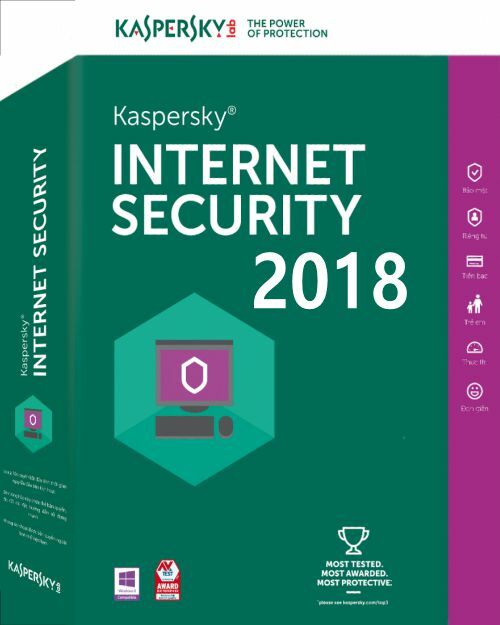 Kaspersky® Internet Security is a solution for ensuring an optimal level of security. Innovative hybrid protection instantly eliminates malware, spam and other Internet threats, saving computer resources through a combination of cloud and antivirus technologies. • Parental controls to control children´s and computer access to the Internet.